The only British manufacturer of aluminium composite panels distributes its high-quality panels in more than 60 countries around the world. Multipanel supplies the market with aluminium, PVC and steel substrates suitable for a wide range of applications. The main brand Alupanel is easy to fabricate, fold and form. The brand's products are characterised by extremely stiff, flat and very smooth surfaces. There is also sheet material with special properties like as a digital printable surface. Other speciality products include white core or a protective film that can be easily removed and leaves no residue on the plate surface. At the FESPA Global Print Expo, the company wants to present its entire product range. However, the booth will be focused on two latest products, Multishield and Alupanel Smart. Multishield is a very stable and stiff steel composite plate, which is coated with a primer for digital print. This allows for brilliant and colourfast prints. It is also suitable for the production of whiteboards for dry-wipe markers. 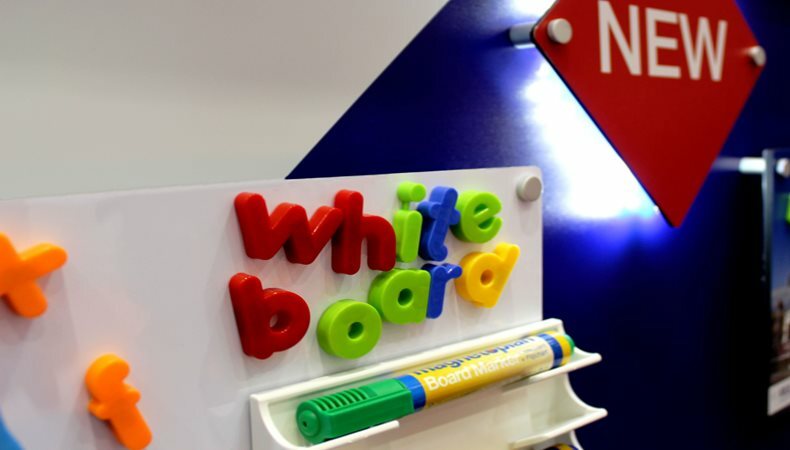 Therefore, the material is optionally available as Digital or combined option for digital printing and whiteboard. Due to its steel core, magnets can be used on both versions. This makes Multipanel Multishield a very versatile option. Alupanel Smart meets the same requirements as the standard Alupanel, but offers a slightly thinner 0.26 mm aluminium top layer. Alupanel Smart is available in various heights. The product can be supplied as a double-sided panel with one side high-gloss and one side matte, or alternatively as a double-sided matte panel. This flat and easy to process aluminium composite panel is particularly suitable for high quality applications. It is available in various colours and designs. FESPA Global Print Expo 2019 is Europe’s largest speciality print exhibition for screen and digital wide format print, textile printing and signage solutions. Visit Multipanel at stand H55 in Hall B5 at the Messe Munich between the 14-17 May 2019 and discover the available features. Please use promo code FESG902 to register for free.